Heatlok HFO Pro provides superior yield and industry-leading R-value. With an R-value of 7.4 at 1 inch, Heatlok HFO Pro is designed as a continuous insulation solution using an ultra-low global warming potential blowing agent. 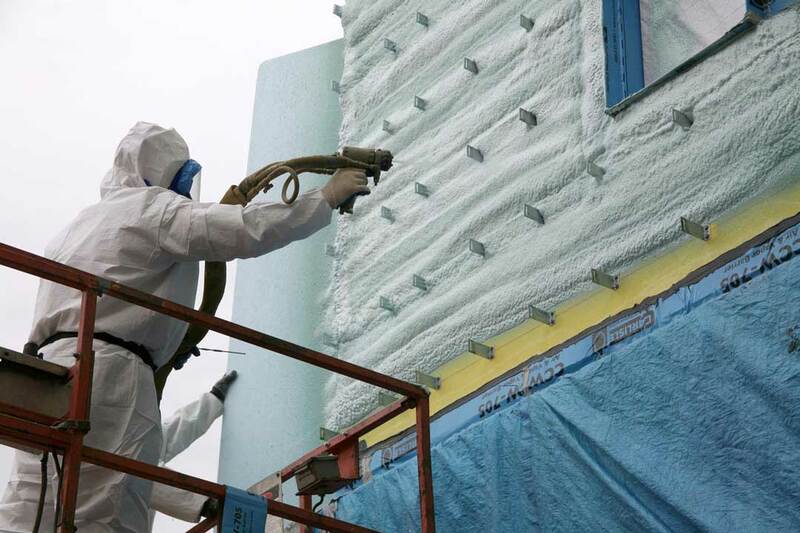 The product is tested and certified as an air, thermal, water, and vapor barrier. Heatlok HFO Pro leverages Honeywell’s Solstice® Liquid Blowing Agent technology, which has a GWP of 1, 99.9 percent lower than traditional blowing agents. It complies with the Montreal Protocol designed to lower the use of global warming potential gasses. The Beckwith Animal Hospital in Modesto, California, was envisioned with state-of-the-art equipment, sustainable features, and the comfort of its four-legged occupants in mind. Architects, specifiers, and roofing contractors play an important role when working with a building owner to design a commercial structure that protects occupants from the outside environment. Erecting a new building in an urban setting means coordinating a whole range of challenges not faced in open areas. Just managing the logistics—material deliveries and construction site traffic, for example—takes on a new level of complexity in the face of rush-hour traffic and sidewalks full of people. In the age of high-thermal-performance building envelopes, there can be many surprises when the designed wall system does not meet the expected performance criteria. Sometimes these ‘misses’ are significant and can severely impact the energy use for a building.